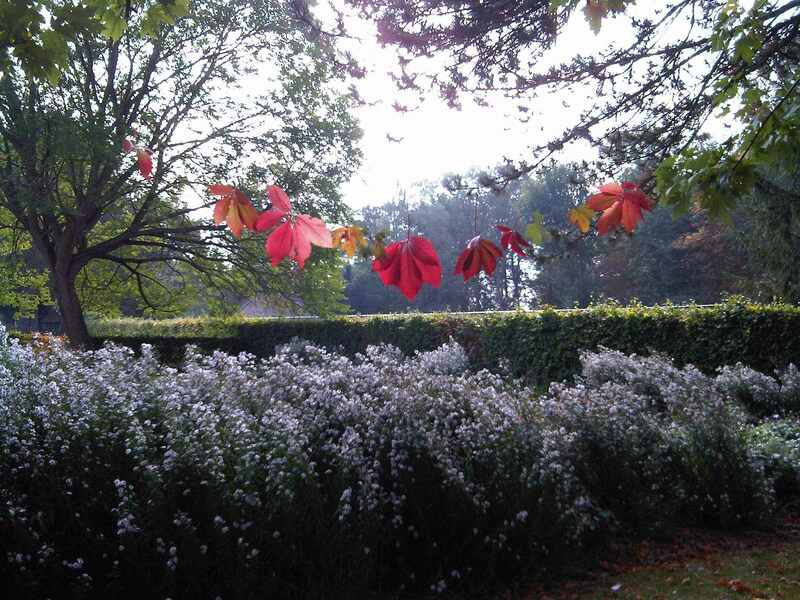 Autumn is the time of AGMs, and the Friends of Rowntree Park have theirs this evening. We are a community group that works to benefit the park and its users, so we’re always looking for new ideas of how we could do this. 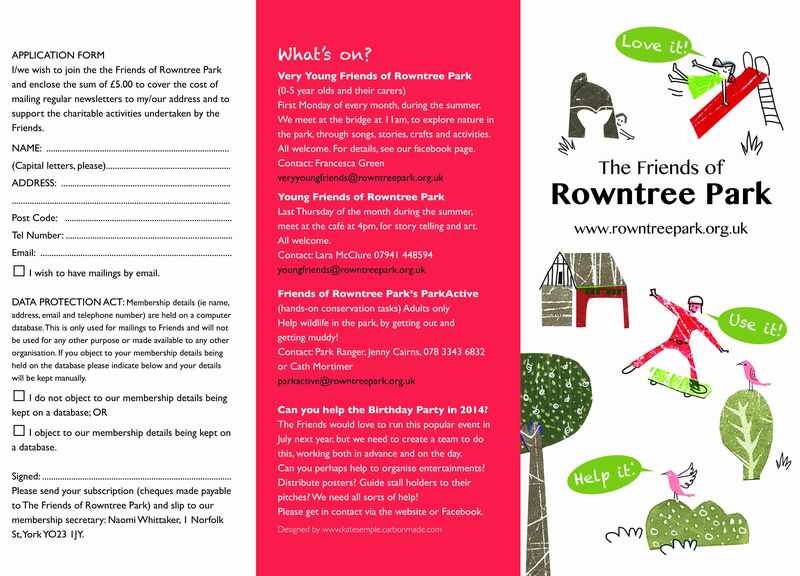 If you are a visitor to Rowntree Park, do you have any ideas for projects or activities that would benefit the park and its users? We’d be glad to hear about your thoughts on these, or your other ideas, so why not come to the AGM (7pm at the Reading Cafe, for details see October newsletter), or post your comments here. The long summer of 2013 is finished, and now there is a beautiful blaze of autumn colour in the park. The British autumn always brings with it a crop of fruit, and a crop of Annual General Meetings – and the Friends of Rowntree Park are no different. At the AGM on October 10th, those present discussed the Friends’ work in 2013, and outlined their ideas for 2014. Over the next few months, the Friends will be working with council staff to source new display/information boards for the park, which the Friends will pay for. We are proposing some children’s art workshops (free to Friends), in the lead up to Christmas, so watch out for further details. We also discussed the new membership leaflet, created by local designer Katherine Semple (the October 2013 version is pictured here). A hundred copies of the leaflet had been taken by visitors to the park cafe, but without any noticeable corresponding increase in membership! The major event in 2014 will be the Birthday Party which, this year, the Friends need to take the lead on, because the council no longer has a Ranger Service. If you are interested in helping either in planning the event or on the day itself, get in contact with the Friends as soon as possible – if we cannot create a Party working group, we cannot hold the Birthday Party next year! We are specifically looking for someone to co-ordinate the entertainments, and someone to be the main contact point for the event. This year’s AGM also saw a new Chair of the Friends, Hugo Bentley, replacing Mike Heyworth, who retired after many years in the post. Hugo lives on Bishopthorpe Road, and is a regular park-user; he and his dog, Digby, are out everyday, at least twice a day, often with Hugo’s wife Rosemary (known as Bud). Many thanks to both old and new Chairs, and to all the active members of the committee, for all their hard work.